How do I Increase Aerobic Endurance? When attempting to increase aerobic endurance, it is good to determine the target heart rate. 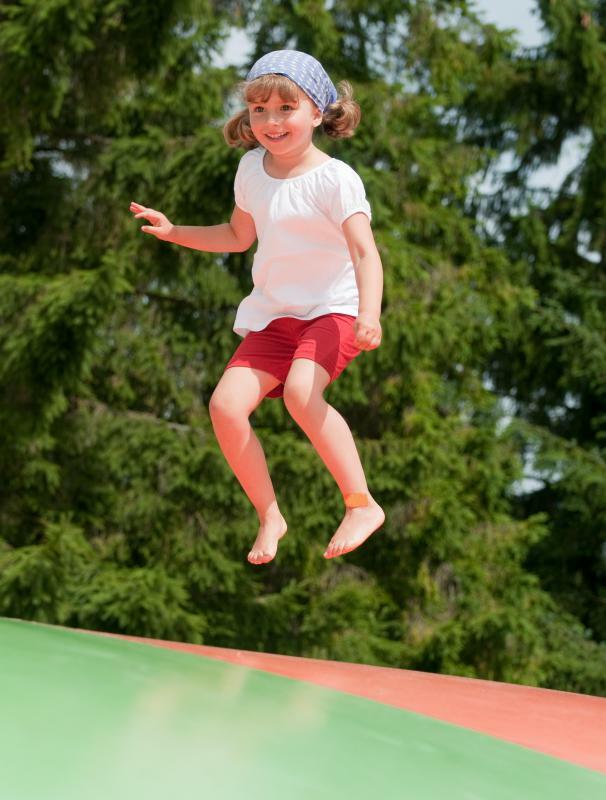 Jumping on a trampoline can be a great cardiovascular exercise. Increasing your aerobic endurance will improve your physical fitness level by allowing you to exercise for longer periods of time. In general, the best way to increase aerobic endurance is to gradually increase the intensity of your workouts. This will allow the body to slowly increase lung capacity and muscle strength, the two key factors in exercise endurance. To begin, it is best to find your target heart rate, which is the ideal number of beats per minute while you are exercising. A simple way to figure this out is to first find your maximum heart rate, which is often figured as 220 minus your age. For example, if you are 25 years old, your maximum heart rate would be 195. Your target heart rate is then 50 to 85 percent of your maximum heart rate. With a maximum rate of 195, your target heart rate would be approximately 98 to 165 beats per minute. When you first begin exercising, your heart rate will probably approach the higher end of the target heart rate zone. As your aerobic endurance increases, your heart rate will slow down. Taking frequent measurements of your heart rate will allow you to see improvement in your aerobic endurance, and will also indicate if you need to exercise harder or slow down a bit. If you are taking medications or have any underlying health issues, it is best to consult with your physician before beginning any new exercise program. The simplest way to increase aerobic endurance is to try to increase the time and the intensity of your exercise program. If you have been running one mile per day at a ten minute pace, you might simply increase the distance to one and a half miles at a ten minute pace. Alternatively, you can try to run one mile, but at a nine minute pace. When trying to increase endurance, it is helpful to keep track of statistics that are relevant to your preferred exercise, such as pacing, distance, or time spent. Interval training is another very effective way to increase endurance. For example, you might walk for five minutes, then run for two, for a number of sets. As your endurance increases, you might walk for four minutes, and run for three, until eventually you will not need to walk at all. When trying to increase aerobic endurance, it is important to vary your workouts. The body will quickly adapt to the same routine every day, so it is important to do different things. For example, you might walk, jog, swim, or play tennis on different days. What is the Recommended Exercise Pulse Rate? What are the Different Types of Endurance Workouts? What are the Different Types of Endurance Products?